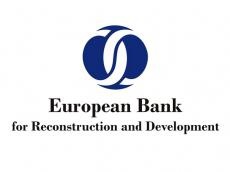 The European Bank for Reconstruction and Development (EBRD) will provide a $240 million loan to Uzbekenergo JSC for the creation of additional generation capacity at the Talimarjan Power Plant (TPP), the EBRD said in a message. The project will be the largest EBRD investment in Uzbekistan to date. Thus, power supply in south Uzbekistan will be significantly improved. The funding will allow Uzbekenergo to finance the installation of at least 900-megawatt combined cycle gas turbines and related infrastructure. The project will be co-financed with the Asian Development Bank (ADB) and the Uzbek Fund for Reconstruction and Development (UFRD). "The investment will address a major issue for the region, namely the provision of uninterrupted and sustainable power supply, which will support economic growth and improve the wellbeing of the population," the EBRD noted. The new project will help improve the efficiency and reliability of the power supply in Uzbekistan and contribute to the government’s objective to create new modern power generation capacities across the country. "This is particularly important for Uzbekistan, the most populated state in Central Asia. Currently, energy losses of up to 20 percent are experienced due to unreliable power supply and obsolete facilities across the country," said the message. It should be noted that to date, the EBRD has invested 1.3 billion euros through 70 projects in the economy of Uzbekistan.